Scott works diligently to ensure that his clients achieve their goals. Through effective marketing and networking, excellent communication and negotiation skills, creative problem solving and attentiveness, his clients always receive the finest service and representation. Scott has sold over $200 million in real estate since entering the business in 2008. Skillfully selling properties from $450,000 condominiums to record breaking multi-million-dollar custom homes, including the highest sale in Marin County in 2016, he knows how to best present homes to the market across a broad value spectrum. Scott's impressive marketing program has earned him considerable success in selling homes throughout Marin County. His knowledgeable, hands-on approach in helping clients prepare their homes for market maximizes their success in the marketplace. He creates a custom approach for each new listing, telling the unique story of each home and presenting those special details to the market in a way that reaches out most effectively to potential buyers, consistently setting his listings apart from the others. Possessing an intimate understanding of the market, which is especially important in Marin due its unique communities, Scott knows what it takes to successfully represent buyers. He focuses their search on properties that suit their specific tastes and needs and his experienced negotiation skills and expert market knowledge provide buyers with the best results—home ownership. 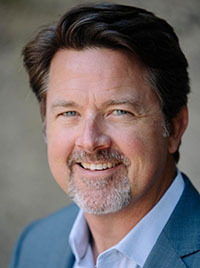 Scott is connected to the most powerful marketing network of top producing, professional agents in the Bay Area and with access to Vanguard Properties' robust network, unparalleled aesthetic, and cutting-edge marketing machine, his distinctive reach is Bay Area wide and on a national and global scale. A Bay Area resident for twenty years and a Marin County resident for fourteen of those, Scott appreciates and values home ownership here and enthusiastically shares his knowledge of all that Marin County and the greater Bay Area has to offer. He is a private pilot and in his spare time enjoys taking in the extraordinary Bay Area landscapes from up above. Add ScottCWoods.com to your favorites and let me help you search properties and keep track of the market! Scott is a private pilot and enjoys flying in his free time. He is active in local and nationwide pilots’ organizations and is passionate about preserving aviation history. A lifelong musician, Scott has enjoyed years of writing, producing, recording, and performing original music. He is a multi-instrumentalist and plays guitar, bass, drums, and keyboards.